Summer Snapperland – finally finito! 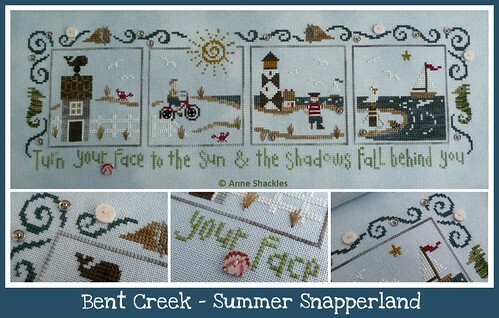 Anne S • This entry was posted in Bent Creek, Cross Stitch, Finishes, Summer Snapperland and tagged Cross Stitch. Bookmark the permalink. the fabric is so beautiful! Oh it is so pretty Anne 🙂 Good going you!!! Congratulations on your finish, Anne – it’s beautiful. I, of course, still have to get mine started! When I’m not so busy with work and school, I might just find time to do that!